MASTER Bedroom: Pillowtop King Bed, flat screen TV, private full bath. Bedroom # 2: 2 sets of Bunk Beds sleeps 4 kids, flat screen TV/DVD. PLUS: Queen Sofabed in Living Room. Wood Fireplace. Ski Storage Entry. Free WiFi. Free Long Distance. AMENITIES: Beautifully appointed with lots of ski/snowboard artwork, rustic decor, wallpapers and personal touches. Washer/Dryer. Level floor plan on grade with parking lot. Down one flight of stairs to the slopes. Arrive to top quality bed linens, lots of towels, paper goods, soaps, detergents. Complimentary full bag of STARBUCKS Coffee for you. Popcorn for the kids. LOCATION: Adjacent to Whistlepunk Trail, a Novice run connecting you and the kids to the entire trail system. 2 ski lifts within 100 yards. Across the street from the Double Black Diamond trails of fabled Western Territory. A 5 minute walk north to the center of Snowshoe Village, ski school, Split Rock Pools and our favorite restaurant The Foxfire Grill. ENJOY: A true ski lodge experience. Many upgrades. Park on one side, a few steps to the ski slopes on the other side. Perfect for a first rate family holiday. 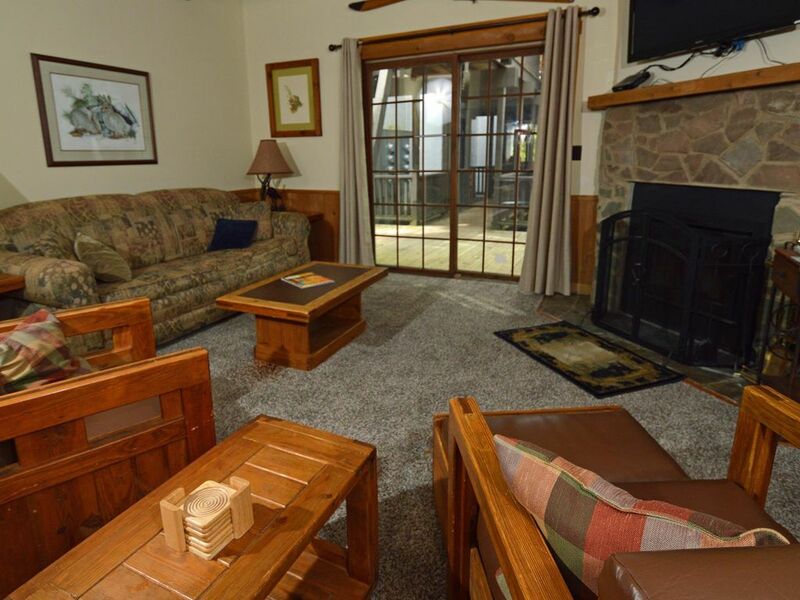 One of the best 2 bedroom rentals at Snowshoe. Well done inside, close to everything outside !